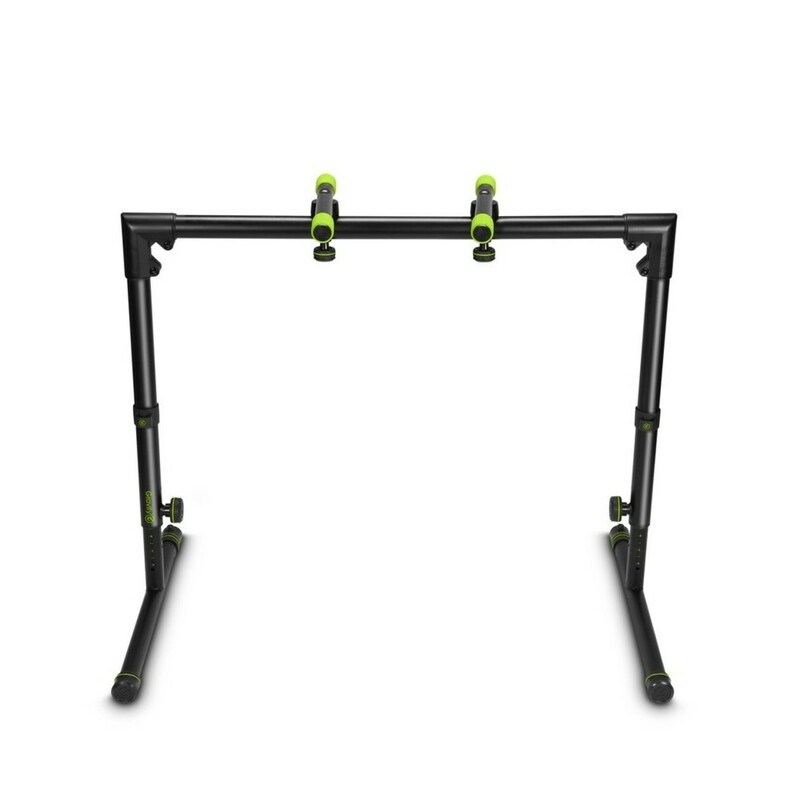 The Gravity KSTS01B Table Form Heavy Keyboard Stand is a stand designed with serious keyboards in mind, with a maximum load capacity of 90 kg. 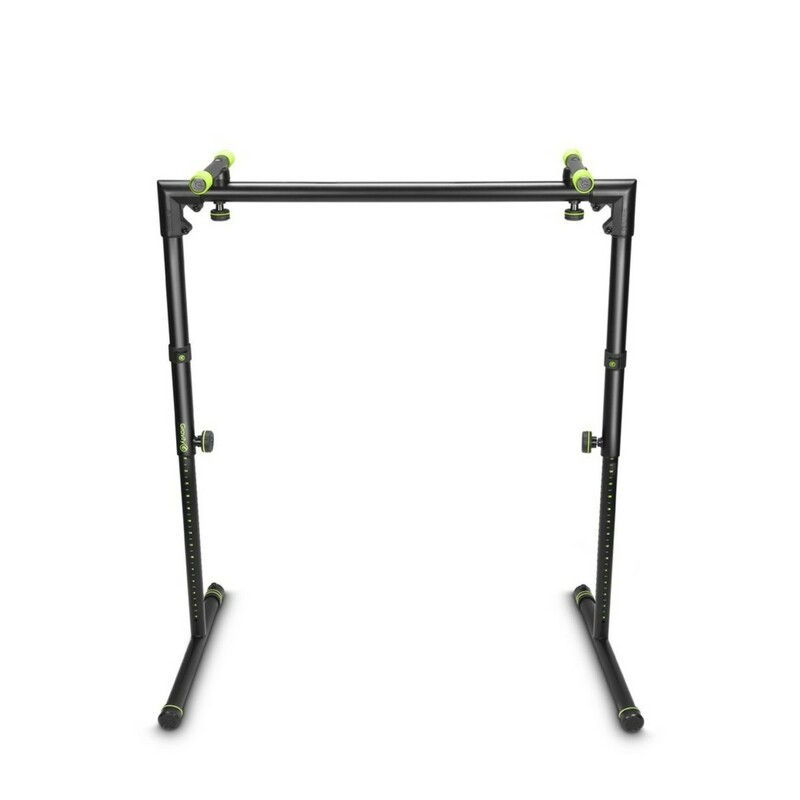 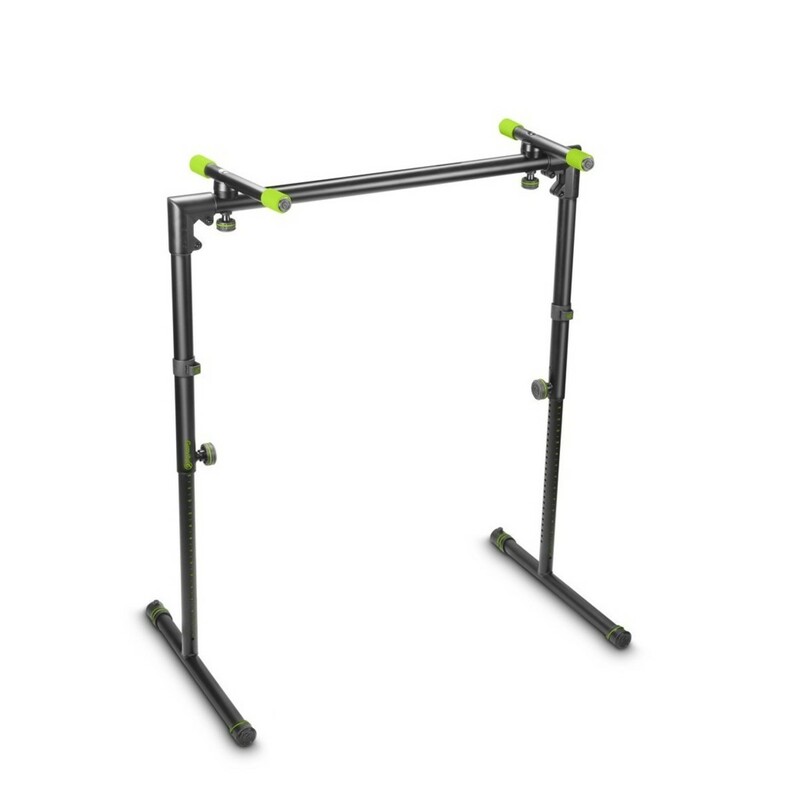 The Heavy Keyboard Stand is also height adjustable from 735 mm to 1155 mm, making it ideal for both standing and sitting performances. 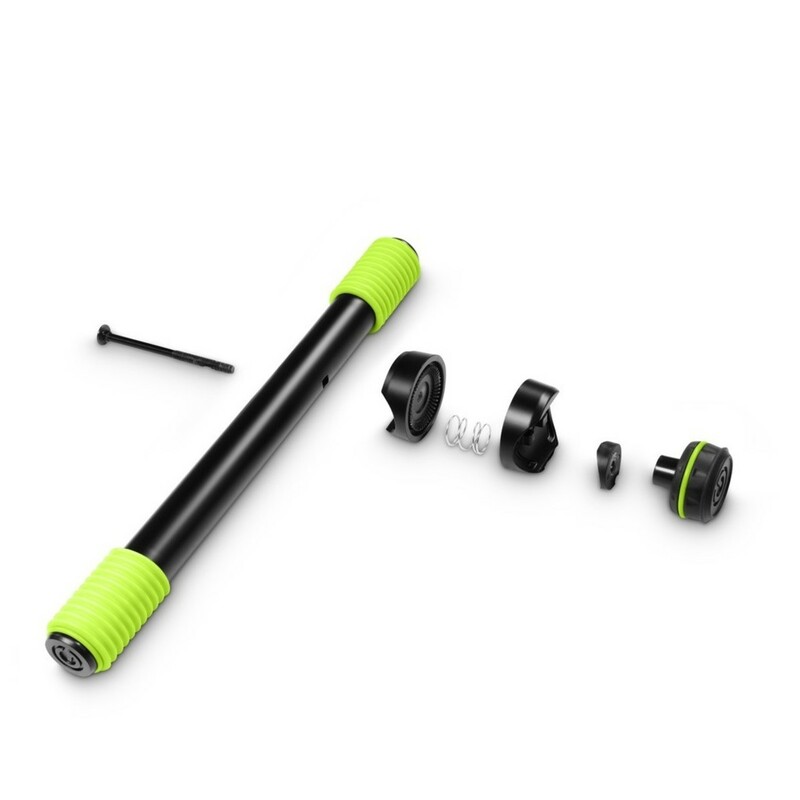 The KSTS01B is easy to adjust, thanks to Gravity's double injected adjustment knobs, with a hard plastic core and soft touch thermoplastic coating. 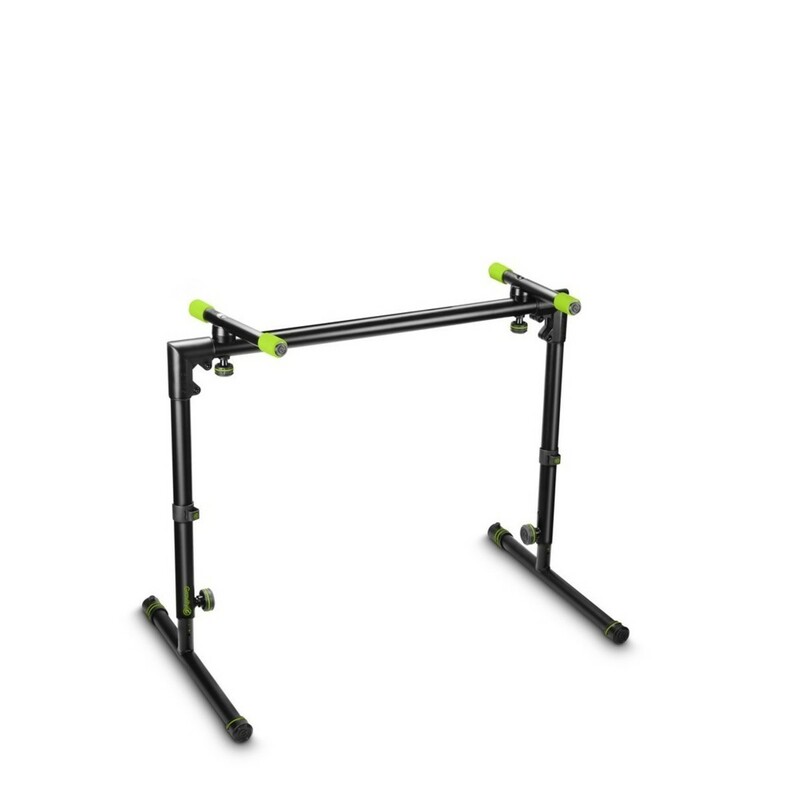 With robust steel tubing throughout, you can trust the Gravity KSTS01B Table Form Heavy Keyboard Stand to hold and support any keyboard effectively. 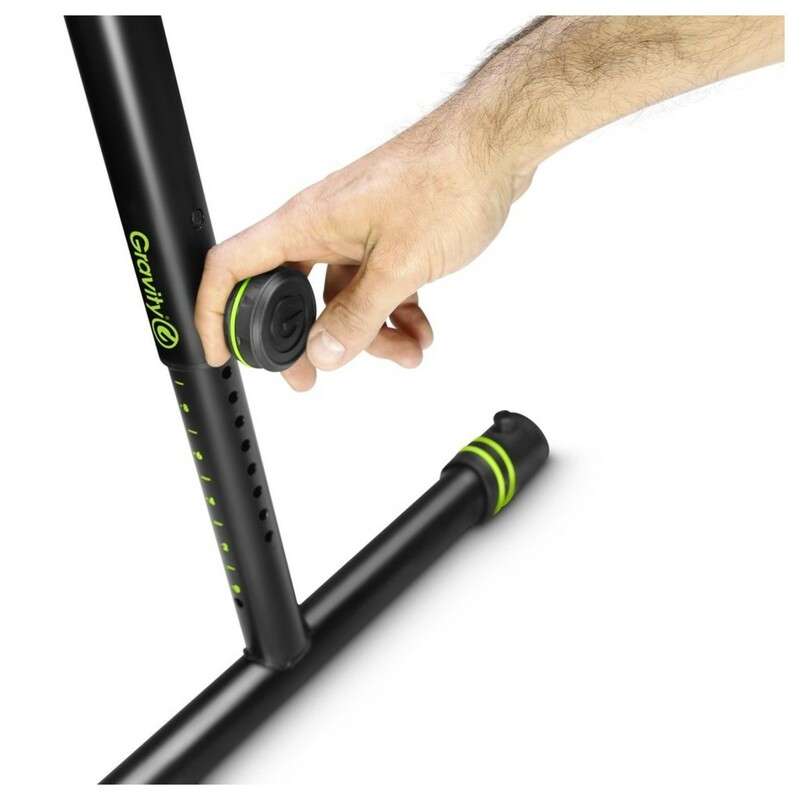 Included with the Gravity Table Form keyboard stand is a Gravity Varifoot which allows you to compensate for uneven ground and ensure the safety of your keyboards, even on difficult terrain. 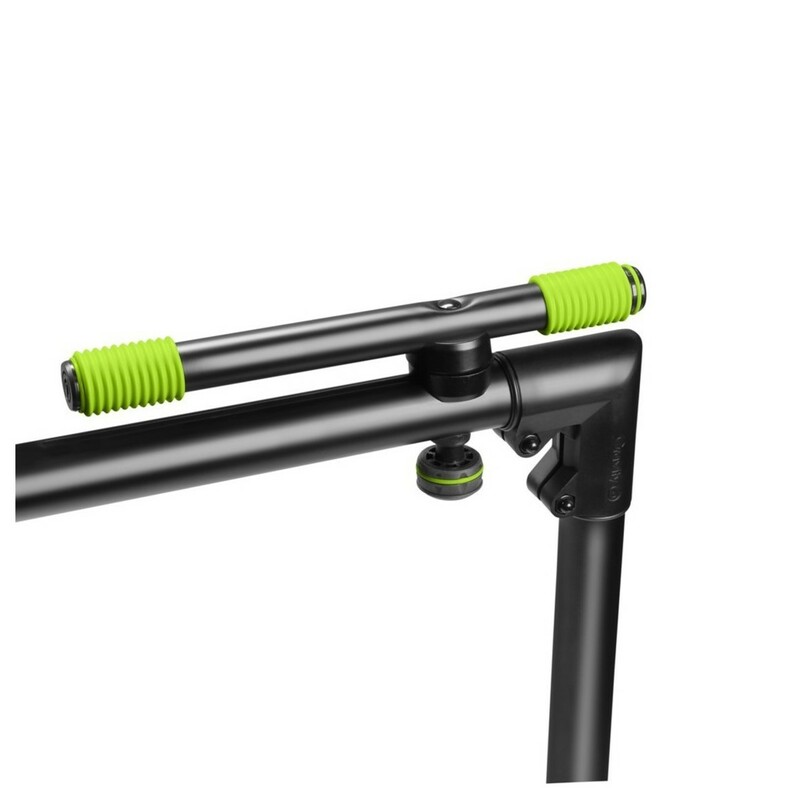 The Varifoot can make adjustments up to 10 mm to handle all but the most extreme terrains and stages. 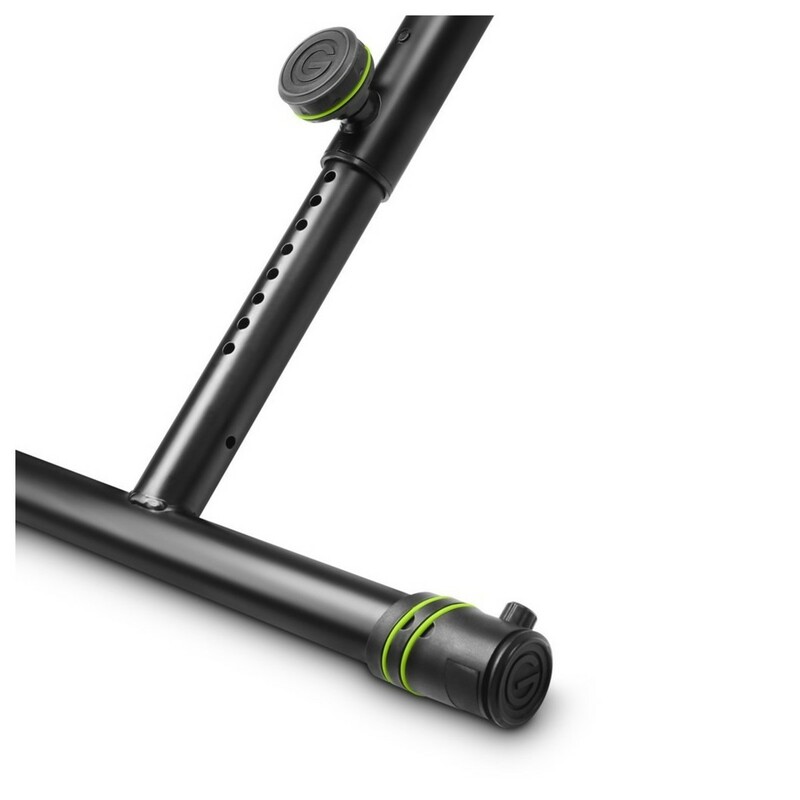 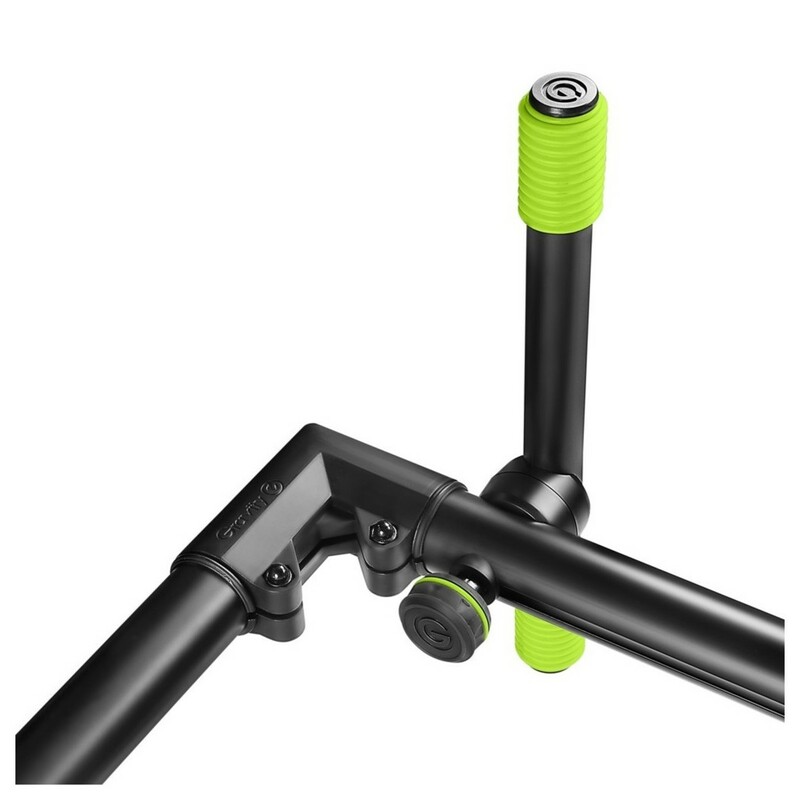 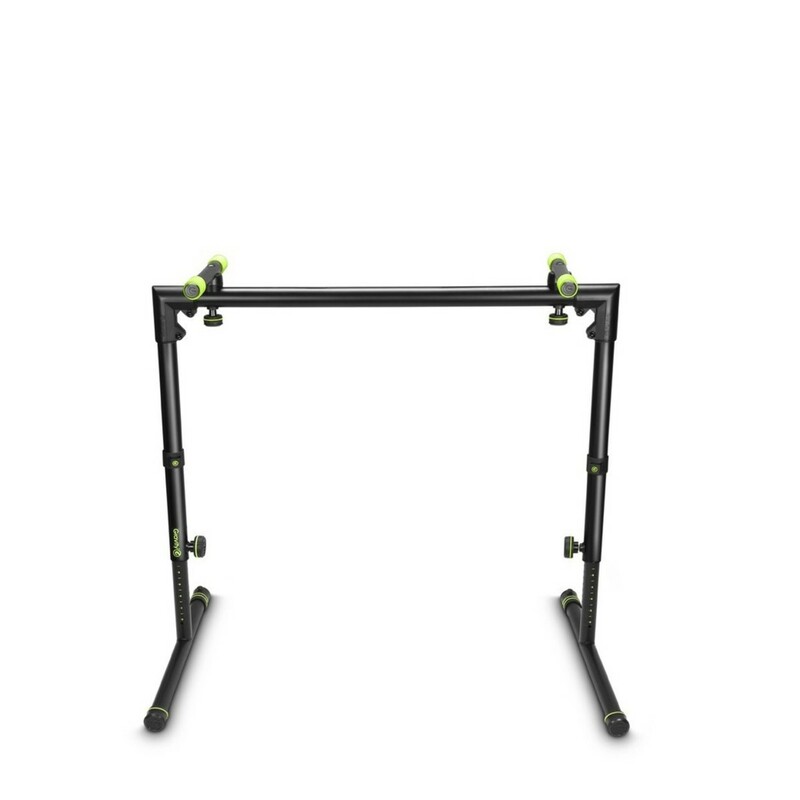 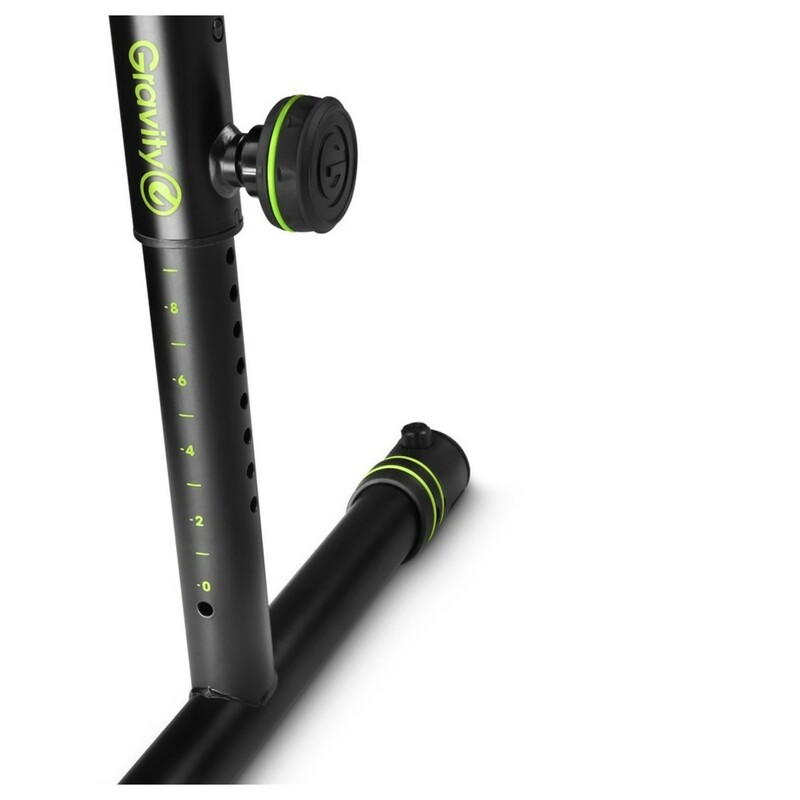 The Gravity Leveling Foot is easy to install by simply pushing it to fit onto any compatible keyboard stand.